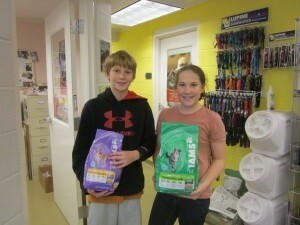 Humane Hands Club: This is the newest Talbot County Youth club. I look forward to working with our county’s 6th-8th graders and help them learn new things about animals and volunteering their time. The purpose of this club is to help with needs in the shelter, be support for Talbot Humane events, projects and community events and grow an appreciation for why kindness and community involvement are so important for animals and people. If you have a student interested in joining our team, please stop by Talbot Humane to pick up the application. Youth 10-15 years of age are welcomed to volunteer at Talbot Humane, when accompanied and supervised by a parent. Both parent and student are required to attend a New Volunteer Orientation. The attending parent serves as the official volunteer, and the student is permitted to accompany the parent when volunteering as a Cat Cuddler, at PetSmart or at Off-Site Events. For safety purposes, no one under 18 is permitted to volunteer as part of our Dog Walker Program. Youth 16-17 years of age are eligible to apply to be an Independent Student Volunteer. These students are required to submit a student volunteer application and may be called in for an interview. Students will be selected based on demonstrated interest in animals, commitment and dependability. Successful volunteer candidates will be able to manage unpredictable situations, take and follow direction from staff, follow shelter rules at all times and communicate professionally. These volunteers must commit to volunteering at the shelter for a regularly scheduled shift of at least 2 hours every week. Independent Student Volunteer opportunities are available during the first and second semesters of the school year and during the summer months. Students will assist with cleaning and other projects around the shelter, but should not expect to handle animals on a regular basis. Responsibilities will be assigned based on shelter needs and what staff deems appropriate for each Independent Student Volunteer. Space is limited, so please carefully consider whether you think serving as a volunteer for Talbot Humane is a good fit for you, your interests, and your schedule. Students must complete the full semester or summer program for Talbot Humane to sign off on service learning forms. Preference will be given to Talbot County students, but others may apply. Senior Internship Program is available for up to two high school seniors each year. Working in conjunction with high school guidance counselors, Talbot Humane can accept one student for each fall and spring semesters. Student Interns are required to volunteer at the shelter for a minimum of six hours each week during part of the school day, throughout the semester. Interns are responsible for providing their own transportation. Student Interns will learn about all aspects of working in the field of animal sheltering. They will assist with general daily duties, including cleaning, feeding and training, and will eventually observe and possibly assist staff when they evaluate, medicate and vaccinate animals. Interns also may have the opportunity to shadow local veterinarians and attend state political events related to animal welfare issues. Anyone interested in the Senior Internship Program should consult their guidance counselor. Applicants are required to fill out a student volunteer application, submit an essay and teacher recommendation, and maintain a 3.0 GPA. Preference will be given to Talbot County residents, however others may apply. PLEASE NOTE: TALBOT HUMANE DOES NOT HAVE THE STAFFING CAPABILITY TO PROVIDE COURT APPOINTED VOLUNTEER HOURS. Please contact Volunteer Coordinator Susan Langfitt at 410-822-0107 to have your project approved prior to starting, if you want to submit it for service learning hours. Be sure to document the time you spend planning and executing your project. When you have completed your project, call Talbot Humane to make an appointment to donate the proceeds and take a tour of the shelter! 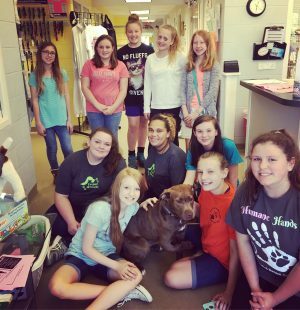 If you have any questions about our youth volunteer program, please contact Volunteer Coordinator Amy Eutsey at Volunteer@talbothumane.org or 410-822-0107.